Escrow is a method of closing a real estate transaction in which all the required documents and funds are placed with a third party for processing and disbursement. It is the job of the escrow officer to conform to the laws of the state and act as a non-biased third party in order to close the transaction fairly and legally. At Walla Walla Title Company, we pride ourselves on the fact that our escrow officers have all earned an L.P.O. (Limited Practice Officer) designation for the state of Washington. While every transaction can have individual conditions, there are certain things which the buyer and seller have traditionally paid for. 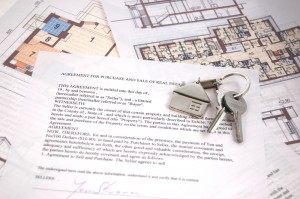 A real estate closing transaction is entirely at the mercy of the various parties to the transaction, but at Walla Walla Title Company, we make every effort to ensure an expedient closing. At Walla Walla Title, we're ready to help you with all of your title and escrow needs. Have questions or comments? Title Manager/Brian Pacsuta is happy to answer them! Email him at brian@wwtitle.com. We take pride in friendly, experienced personnel with local expertise. Donna Howerton, our Escrow Manager, brings all this and more to the table. Donna has been with Walla Walla Title for 28 years and understands the importance of expert title and escrow service, as well as local knowledge and experience. Stop in and see Donna and the rest of our team any time. You can email Donna at donna@wwtitle.com.